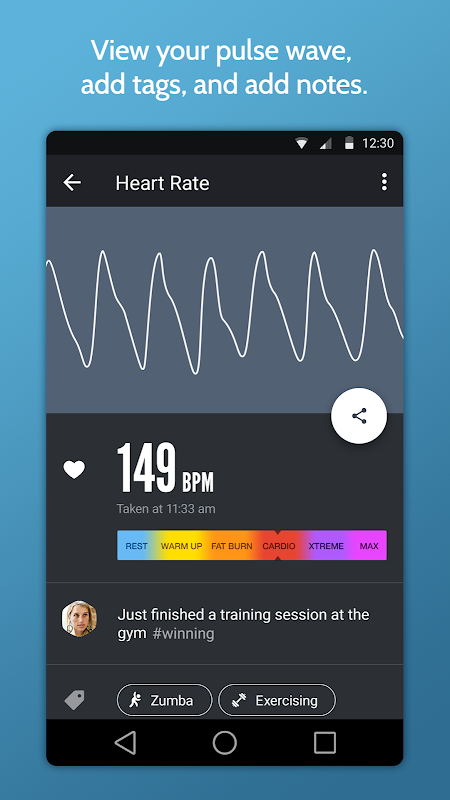 ***PRO version has unlimited heart rate tracking and no ads*** Instant Heart Rate is the most accurate Heart Rate Monitor app for any smartphone and it does not need any external hardware. Use it for optimizing your exercise and to track your progress. Install it now and keep fit. Accuracy is constantly tested by fitness coaches, athletes and 25 million users like you. 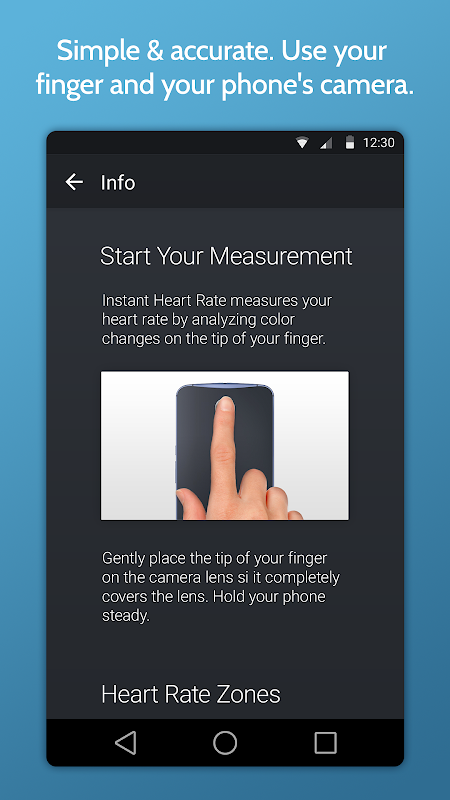 Place the tip of your index finger on phones camera and in a couple of seconds your Heart Rate will be shown. 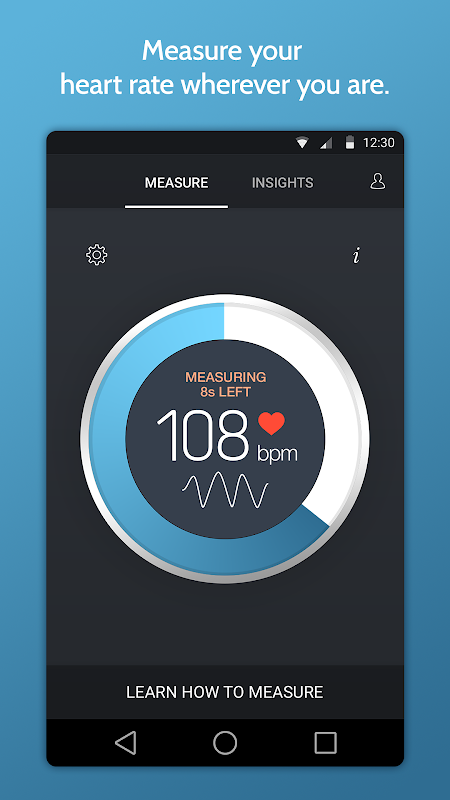 A real-time chart will show your every heart beat. It uses your phones built-in camera to track color changes on the fingertip that are directly linked to your pulse. This is the same technique that medical pulse oximeters use. Now you have a chance to track your fitness and health every-time with just your phone. Your resting heart rate gives you a view into your hearts fitness. The fitter you get the lower your heart rate will be. Enables:  Heart rate measurements  Real time PPG graph - see your every heart beat  History NOTE: Works best on devices with flash. On other devices it has to be used with good lighting. 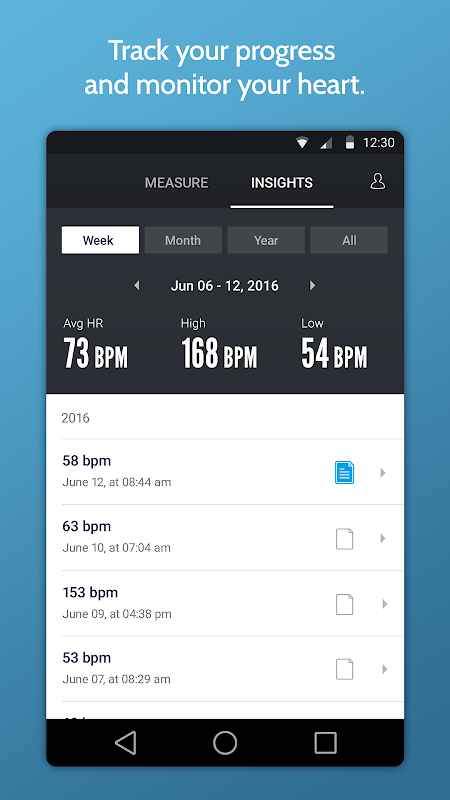  Website: Instant Heart Rate+ : Heart Rate & Pulse Monitor | Azumio Inc.
 Is Instant Heart Rate+ : Heart Rate & Pulse Monitor yours? Claim it!